This has always been my most popular post! I figured now would be a good time to repost it since wedding season is coming up quickly. 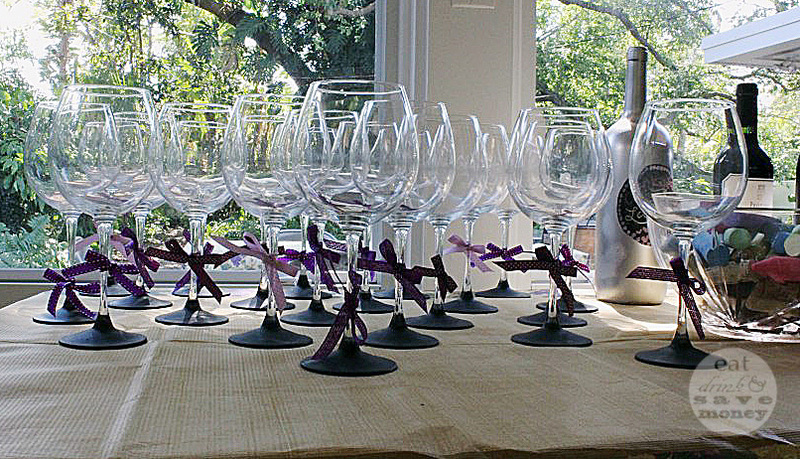 These DIY painted wine glasses make the best favors for any sort of party involving wine. 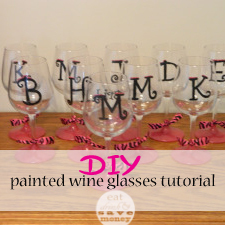 My most popular post of all time is the DIY painted wine glass tutorial. I realized that I never did an update to let you know how the bridal party liked their bachelorette party favors. It was a fun weekend and everyone enjoyed sipping beverages out of their wine glasses. I’m only 2 years late on that update. I can’t believe the pics from the original post have made their way around Pinterest so much. I decided to put the tutorial in a better picture format. I just started using Photoshop (free 30 day trial) and thought I’d have some fun with these images. I also realized that I never blogged about a shower that Irene and I (along with some other talented women) put together for our good friend, Lauren. I wish I could say that I made these, but I didn’t. The talented Irene, from Adventures in Polka Dots, put these together. I like to consider myself more of an idea person than a do-er. I helped shop for the glasses and paint, gave Irene directions, and she showed up at the shower with them. Originally I had planned to help her make them, but my big pregnant belly was too lazy to drive back up to St. Petersburg from Fort Myers to help her. Didn’t she do a great job? Here is her post on the wine themed shower. It was beautiful! She made it sound pretty simple, but I know it must have been time consuming. We bought all the glasses at Ikea for dirt cheap. 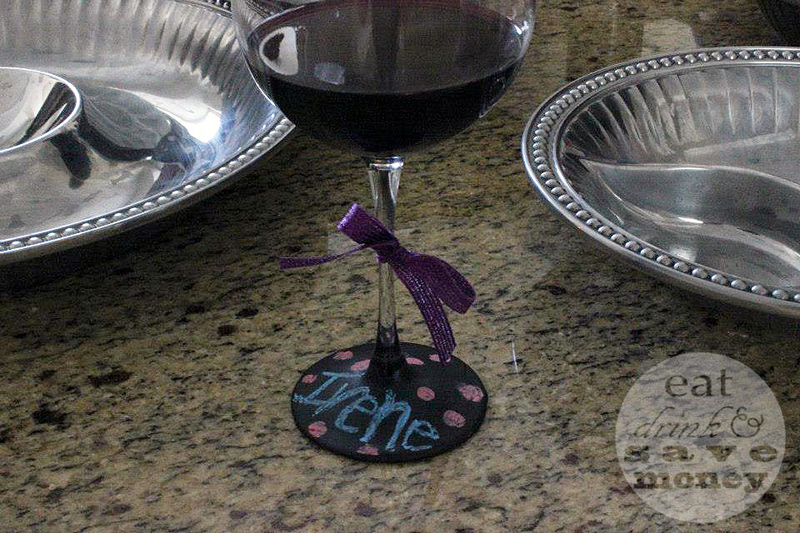 Irene brushed chalkboard paint onto each wine glass and let them dry upside down. All the guests were able to personalize their wine glasses with chalk and take them home as a party favor. We had enough left over to give to the bride a set to start her stemware collection. I love how both of these painted wine glass ideas take away the need for wine charms. These make for good favors or could be a DIY craft for your own stemware collection. Have you ever tried painting wine glasses? Please share your tips and ideas!